Earlier this week my little nephew had a Christmas party in his kindergarten class. My sister was in charge of it and arranged for her husband to be dressed as Santa, and to show up during the games to read a story. 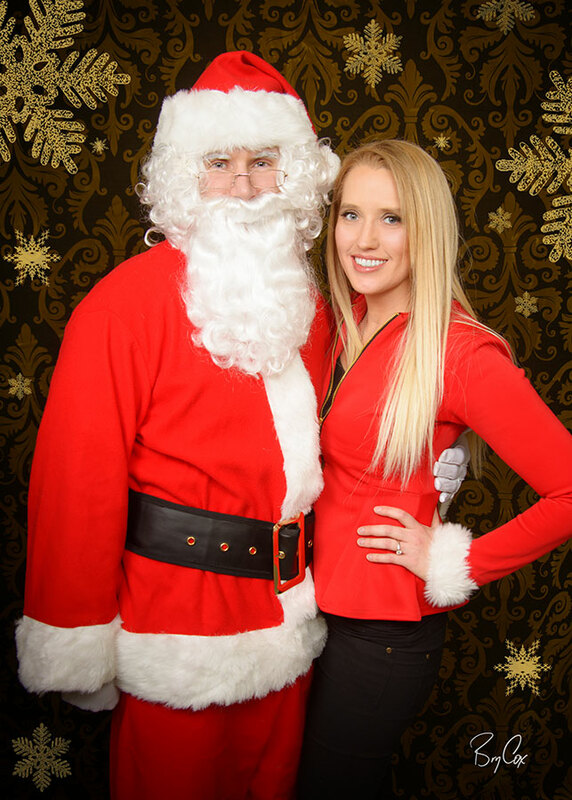 She also arranged for me to be there with a full photo studio set up in the hallway, so we could do individual portraits of each child with Santa. I created a custom layout of golden snowflakes along with the teacher’s name and year at the bottom, and we got some beautiful prints made up to present to each child the next day. It was a total hit. It was a fun way to donate some time and talent to make some kids happy. During the party, the teacher would bring one child at a time into the hallway. Then they would each have a small but endearing conversation with Santa and then get their portrait done. In fact, kids from other classes got word that Santa was in the building, and many little faces continued to peak out from classrooms all down the hallway. For privacy reasons, I can’t post the pictures of the cute little faces I photographed, but they were each adorable and the images turned out great. So being Christmas Eve, I will share this one image I did of just my sister and her husband before I packed up all my gear. Merry Christmas, everyone. I hope you all have a wonderful and relaxing holiday. And I hope you all can spend time with family and loved ones.